10 Minutes a Day to Better Technique and Finger Fitness. Homespun Tapes. Instruction. DVD. With guitar tablature. Homespun #DVDDUBEX21. Published by Homespun (HL.642155). ISBN 1597733156. 5.25x7.5 inches. Taught by Andrew DuBrock. This instructional DVD and accompanying material gives learning guitarists the tools to improve technique, build speed and develop precision by practicing warm-ups, etudes and exercises for just 10 minutes a day. 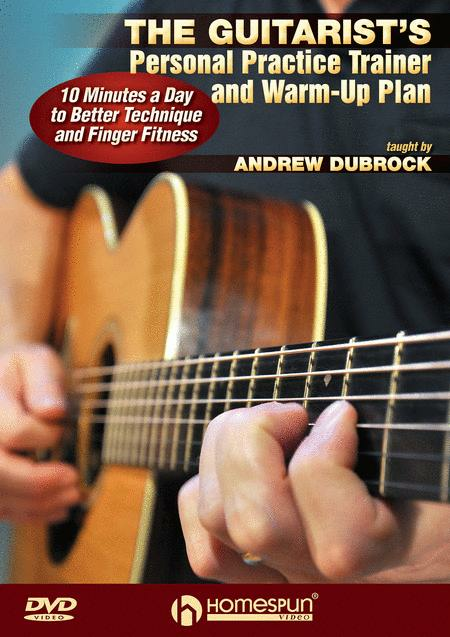 Players at all levels can set their own schedule or print out and follow Andrew's unique “Ten Week Practice Planner.” LEVEL 3 • INCLUDES MUSIC + TAB BOOK/WORKSHEETS • 95 MIN.